Uplowman House was bought by Denys Rhodes and the Honourable Margaret Elphinstone (youngest daughter of the 16th Lord Elphinstone) shortly after World War 2. 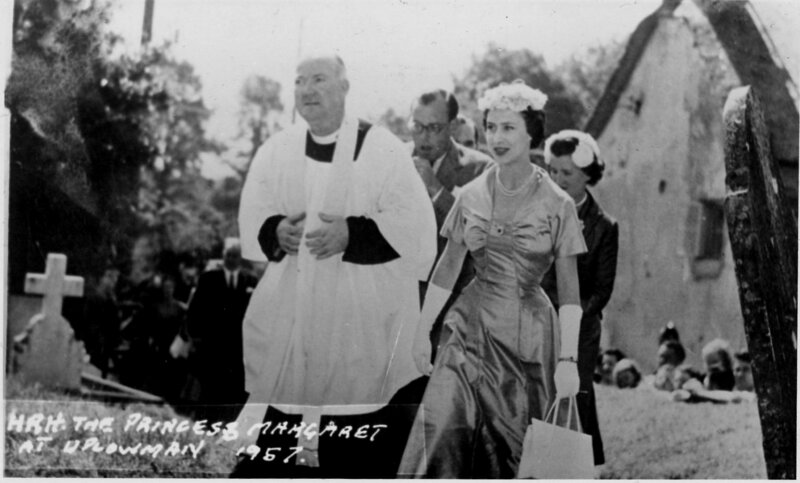 On 27 September 1953 Victoria Rhodes was born and christened in December at St Peter’s Church at Uplowman at which HM The Queen was represented by the Honourable Mrs Wills. Notably, Victoria is one of only 30 godchildren of the Queen. Victoria’s mother is a first cousin of HM The Queen who was a bridesmaid to HRH Princess Elizabeth in 1947, and was later a Lady-in-waiting to Queen Elizabeth the Queen Mother from 1991 to 2002. Victoria’s sister, Annabel Rhodes, is a godchild of HRH The Duke of Edinburgh. Her brother, Simon Rhodes, is a godchild of HRH Princess Margaret. 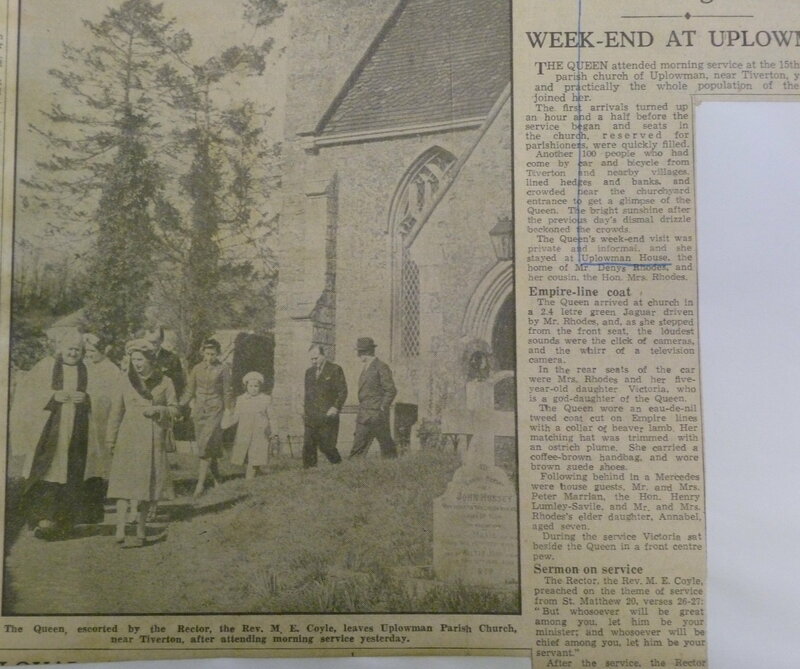 In 1957 when Simon was born he was also christened at Uplowman church and Princess Margaret attended as reported in the Tiverton Gazette. 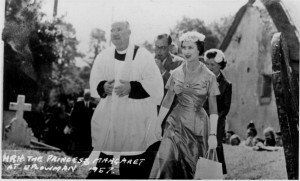 In 1959 the Queen attended morning service at Uplowman church as reported in the Tiverton Gazette and the article reproduced below with the photograph of the Queen (click to enlarge). Hon Margaret Rhodes wrote a book covering her stay at Uplowman and visits by the Royal family. An extract from the book can be viewed here and makes interesting reading.